All amateur golfers falter at some aspect of their games, and work at the range until they can hit a shot that goes just right—only to have it go wrong again the next day. Why? 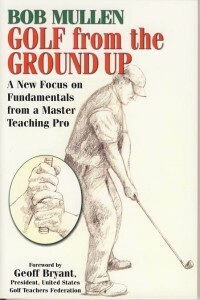 Bob Mullen explains why in Golf from the Ground Up. Pathbreaking studies show that the adult brain can learn only one new motor skill at a time. The golf swing is a series of fundamental motor skills, all simple to learn, but not easy to master or combine. Mastery of these fundamentals is the key to consistently good golf, round after round. This book also addresses the slice–“the number one fault in golf”–with a fresh analysis of why the slice occurs and how to cure it. And the Author’s Notes section breaks new ground on one of golf’s perennial questions, “Hogan’s secret,” with Mullen’s insightful analysis of how Hogan achieved his remarkable clubhead speed. 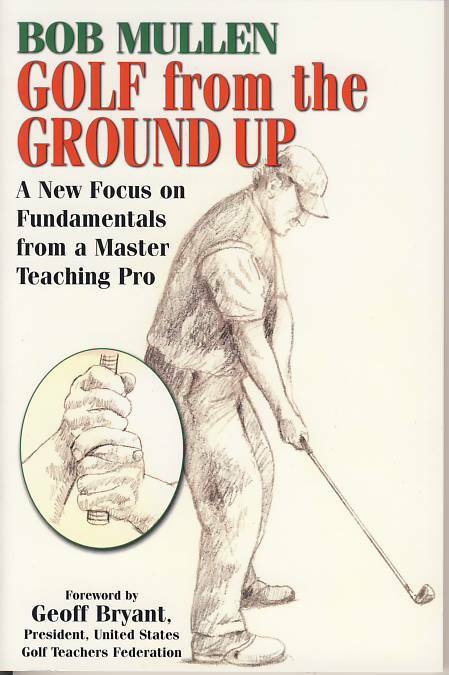 With clear, detailed explanations of skills golfers need to know, and drills and exercises to make them permanent, this book will help all struggling golfers take their games to a higher level. Bob Mullen is certified as a Master Teaching Professional at the United States Golf Teachers Federation and is ranked among the top 25 teachers out of 13,000 Federation members. He teaches golf professionally and lives inSteamboat Springs,CO.